Technical analysis is a critical part of our covered call writing success. We use it for both stock selection, exit strategy execution and timing of our trades. We screen stocks fundamentally and technically via the IBD 50, SmartSelect Scan and MSN Scouter. We make sure we have industry diversification and cash allocation equality. Earnings reports and same-store-monthly retail sales reports are avoided as are companies that trade in low daily volume amounts. 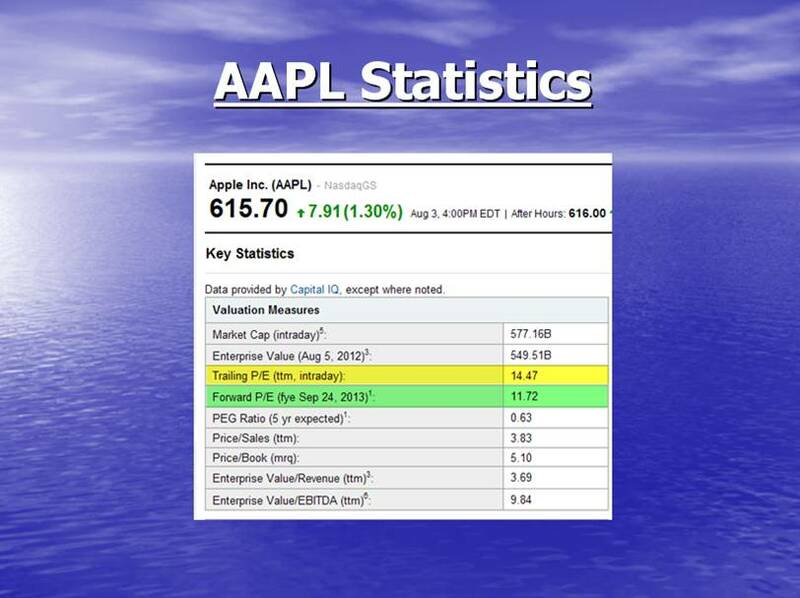 Ultimately, we create a watch list of the greatest performing stocks in the greatest performing industries. In our Blue Collar System, we use moving averages, MACD, the Stochastic Oscillator and Volume to ascertain the technical health of our equity. For me the moving average is king of these parameters with the others playing confirming roles. Each indicator by itself will not suffice, but as a whole they paint a very important picture relating to our buy-sell decisions. First, some key terminology. Moving Average (MA)– the average value of a security’s price over a set period of time. They are used to measure momentum and define areas of possible support and resistance. Simple Moving Average (SMA) – a moving average that gives equal weight to each day’s price data. 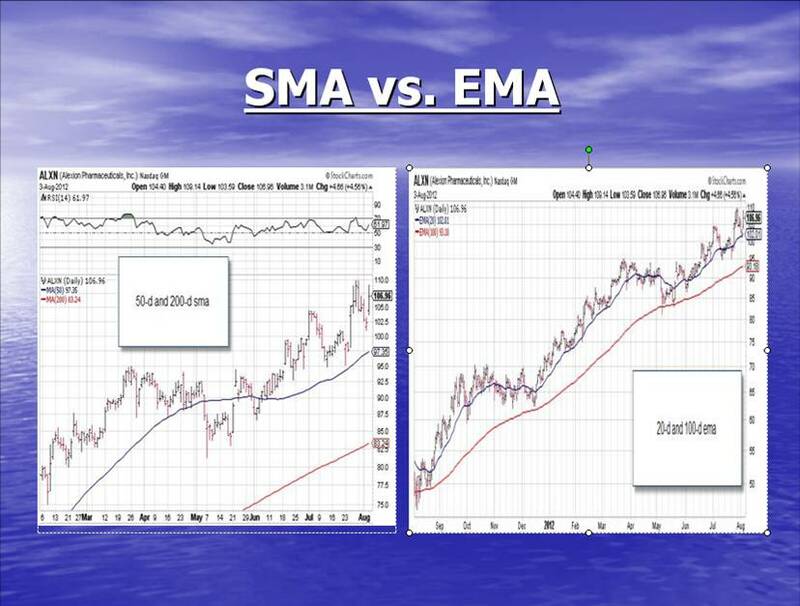 Exponential Moving Average (EMA)- similar to a SMA except more weight is given to the most recent data. Support– the price level which a stock has had difficulty falling below. It is a point where a lot of buyers tend to enter the stock. Resistance– the price level which a stock has had difficulty rising above. It is a point where sellers tend to outnumber buyers. Uptrend– the price movement of a stock is in an upward direction. The stock price forms a series of higher highs and higher lows. Downtrend– the price movement of a stock is in a downward direction. The security forms a series of lower highs and lower lows. Sideways Trend (consolidation)- the horizontal price movement of an equity where the forces of supply and demand are equal. The stock simply cannot establish an uptrend or a downtrend. Notice that at the end of March the short term (20-d in blue) moved above longer term (100-d in red) and then stock went to the moon with the price bars at or above the 20-d ema. Moving averages have little value when the stock price is in a period of consolidation. In these instances, we turn to our confirming indicators or exclude the stock from consideration. When the stock is downtrending, we opt for another equity. If the security is trending upwards, the price bars are at or above the 20-d ema and the short term ema is above the longer term ema, this is a strong buy signal. The signal is even stronger if confirmed by MACD, Stochastics and volume. Most winning stocks never make a serious breach of the 20-d ema which is now considered support for the share price. This is indicative of institutional support for that equity. On the other hand, when a stock drops sharply below support on high volume, these major players (mutual funds, banks, insurance companies, pension funds etc.) are starting to move out of this stock and so should we. I have highlighted in the chart below equities that meet this criteria as of 4PM EST on the last trading day of the week (Pink columns). Moving averages are effective tools for identifying and confirming trends as well as support and resistance. This facilitates our trading system as it assists in making our buy-sell decisions. Since it is a lagging indicator, it is not predictive of change as let’s say the MACD is. But as they say on Wall Street, “the trend is your friend” and we want as many friends as possible when investing our hard-earned money. As with all technical tools, moving averages should not be used alone, but rather in conjunction with our other technical indicators. More information on technical analysis and the confirming indicators are found in Chapter 8 of Cashing in on Covered Calls and Chapter 4 of Alan Ellman’s Encyclopedia for Covered Call Writing. For the week, the S&P 500 rose by 0.4%, for a year-to-date return of 12%, including dividends. BCI: Cautiously bullish on the economy and the stock market using an equal amount of in-the-money and out-of-the-money strikes. This week many investors re-visited the flash-crash memories of May, 2010 when trading in six equities was halted after an electronic trading system run by Knight Capital malfunctioned. Regulatory agencies are reviewing this matter. This appears to be an isolated incident and does not alter this site’s market assessment. Excellent article, thanks. 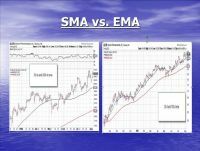 Would you use sma for long-term investing? Although I, personally, do very little long-term investing since I started with cc writing you are 100% correct that the use of SMAs is more appropriate. Many investors will use a 50-d and 200-d sma. As seen in the chart below for ALXN, a stock on our recently-published watch list, sma (left chart) will not give us the quick breakdown in support that is critical for cc writing and our exit strategy executions. Click on image to enlarge and use the back arrow to return to this blog. HOW DOES YAHOO FINANCE CALCULATE THIS???????? The Weekly Report for 08-03-12 has been uploaded to the Premium Member website and is available for download. I just got an teaser about a options research service that uses the Japanese candlestick charts to select good option candidates. – One advantage of candlesticks is that they tend to give an understanding of trader sentiment.something that bar charts don’t do. It is important to understand that it takes a lot of training to understand and use candlesticks. – Since bar charts (and candlesticks for that matter) focus closing price, bar charts fit nicely into our system and are easier to learn. – The other technical analysis tools that we use…MACD and Slow Stochastics…use the closing price for their calculations as well. – If you look at the behavior if the MACD and candlestick reversal patterns, you’ll find that that the timing is relatively close when predicting a trend reversal. For the most part, the timing differences would be of more value to a day trader vs. a covered call trader. – With the BCI system, we use a combination of tools and screens to determine our “Running List”, so specific tool differences tend to be less important than what the confluence of inputs of our tool set tells us. – In either case, you would want to see the trend reversal confirmed, usually by volume or other indicator. 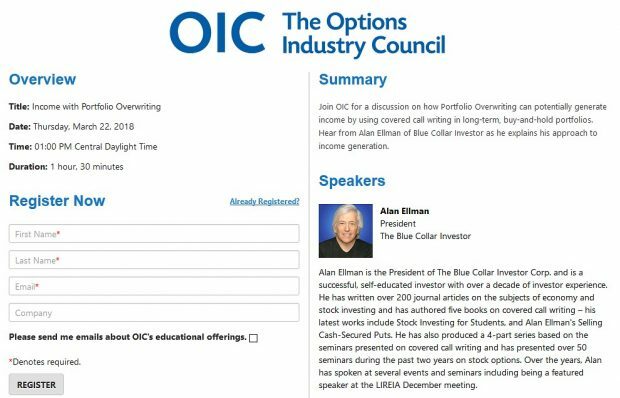 Since the focus of the BCI methodology is on ease of use and a short learning curve, Alan selected the bar chart as the BCI price tool. As it turns out, Alan prefers to use bar charts while I tend to use candlesticks. Alan, I know this is a really nit-picky comment but it may lead to a tiny bit more clarity in your weekly table. Which words correspond with which table abbreviations? I think your word order is different than your table abbreviations order. No big deal. Just food for thought. stock fails that particular screen. The notation was selected to minimize the report/screen real estate in order to get all of the information in while still using a readable font size. Thanks for the member website and the books. Really enjoying learning more about all this and making money. 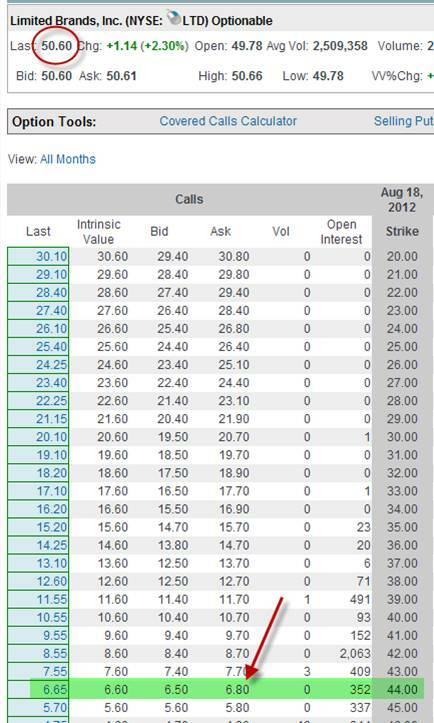 I do have a quick question if you dont mind about a stock and covered call I wrote before I found out about you. Hoping you could point me in the right direction. If this was your stock (which I know it wouldn’t be now because of the earnings report coming up) would you just let it expire and move on or would you play this any other way? At this point I really don’t know what to do but was wondering if there are any other way to play it that I haven’t thought of. As an aside, LTD is a “banned” stock because it report same store sales on a monthly basis. This is like a monthly earnings report. Do you use trailing stops when buying and selling stock outside your covered call accounts? I do very little pure stock buying and selling in my portfolio since I mastered covered call writing. However, the use of trailing stops makes good sense in that it protects on the downside and allows for share appreciation on the upside. The trailing feature kicks in if the price rises but does change if the price decreases. Most investors will using trailing stops in the 7-10% range. Thanks for sharing your knowledge and experience. It’s so helpful to newbies like me.